In the still uncharted realms of mind and heart, there exist parts within every person that are drawn to seek out relationships with thoughts that are self-wrecking: for instance, when we become transfixed by our own troubles, turning the image of some fear-producing picture over and over in our mind. And who hasn't found himself drawn into an argument where the antagonistic voice in his head is nothing other than his very own thoughts acting out the role of his enemy! As these particular "birds of a feather" -- these self-victimizing thoughts and feelings "flock together" in the unaware mind -- this continual process (driven along by the law of attraction) eventually gives shape to a form of a psychic pathway; a kind of mental rut that ultimately expresses itself like this: in any psychologically challenging moment, not only is the direction we will turn to meet it already carved out for us, but what we will meet that moment with, i.e., which parts of ourselves will take the lead, is also reached automatically. So, in a very real sense, our choices are made for us even before we know what they are! Have you seen this condition in yourself? That in a given "unwanted" event, because of some unpleasant past personal experience with others like it, a certain part of yourself rushes to the front and assumes command? In short, first these reactions define the moment and then rule the direction of all those that follow in its breaking wake. For example, maybe someone makes a cutting remark towards you, or some pending news comes along concerning a possible loss of one nature or another. Doesn't it feel in these unwanted moments as though we're suddenly caught in a kind of gravitational field, as if something is literally pulling on us, within us, compelling us to seek out that part of ourselves best able to consider our new condition? It is this exact inner moment, operating under the law of attraction, that is the real event responsible for the onset of our stressed states. In and of themselves, our "scary" life-moments are as powerless to punish us as is a make-believe monster on the movie screen. For just as we must "give" ourselves over to the reality of the motion picture before we feel the fear it intends to raise in us, the same provisos hold true when it comes to our stressed moments. Before these familiar shakings and their aching can begin, we must somehow be tricked into believing that what we're being given to see as the reality of our lives is, indeed, all there is to see about our real lives in that moment. 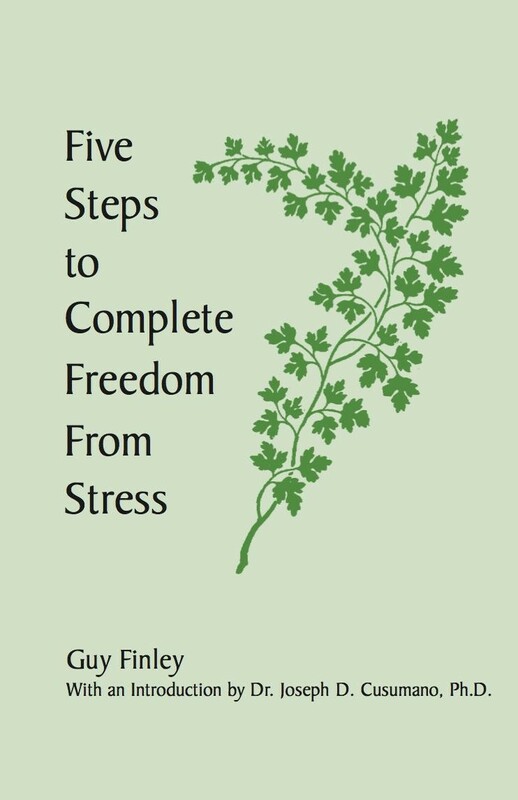 Excerpted From: 5 Steps to Complete Freedom from Stress, pages 18-20.